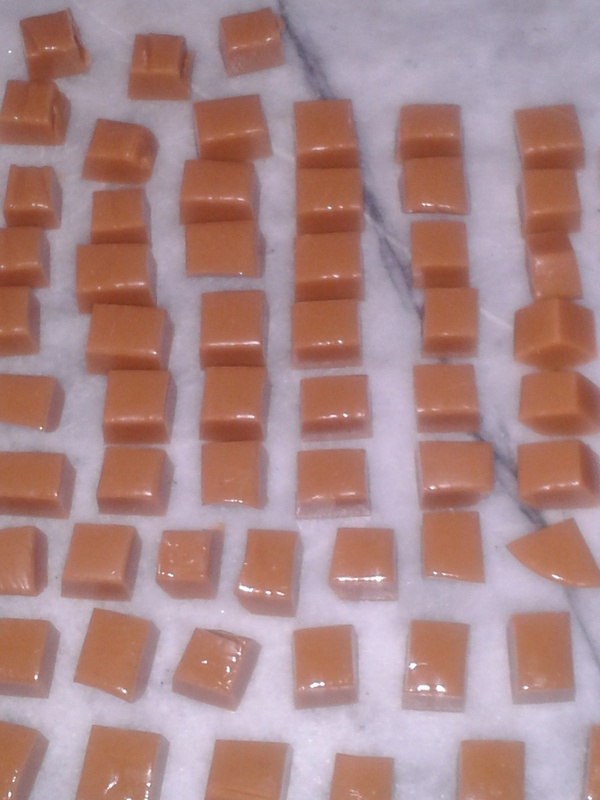 Caramels waiting to be wrapped. And I have to make four batches of caramels! So I did what any reasonable person would do. I wrote down all the little steps so I can see my accomplishments, and I bought four books and read them back to back. Then I decided I’d read them too quickly, so now I’m re-reading them. How do you deal with holiday stress? Is everything on your list done? I’ve dealt with holiday stress by eliminating a lot of what I do. I don’t bake much anymore. I’ve made arrangements with extended family to not exchange gifts except for giving to the little kids. I don’t do cards. The only thing I still do is cook good meals! I guess I’m a bit of a Scrooge. And I’m OK with that!